Able to rapidly decode and parse the information from the IUID bar code, the Barcode Scanner Parser Plugin lets developers easily gather relevant application data. Accessing details regarding manufacturer name, origin, serial number, and repair history, for instance, application software can then quickly import this information from the structured format the Parser Plugin provides (JSON, Key-Value), thereby allowing for more convenient access to needed data. Invested in helping app developers and ultimately making their jobs less taxing, Manatee products are designed with efficiency, 100% accuracy, and flexibility in mind. 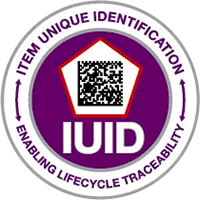 The Parser Plugin for IUID gives access to the full data set of DoD property identification without having to spend hours extracting such information byte by byte.